I'M BACK I'M BACK I'M BAAAACK! Didja miss me? Did you miss the food I shared? I hope all the answers are yes, because I missed you guys! And I'm so excited to be back and-even though I am not 100% caught up-I definitely feel less behind. So yay! And this first post back is extra special because I am guest posting for my wonderful friend Zainab over at the Blahnik Baker while she takes some time off for maternity leave to spend time taking care of her new little man, Elliott! This recipe is a good one too, y'all! 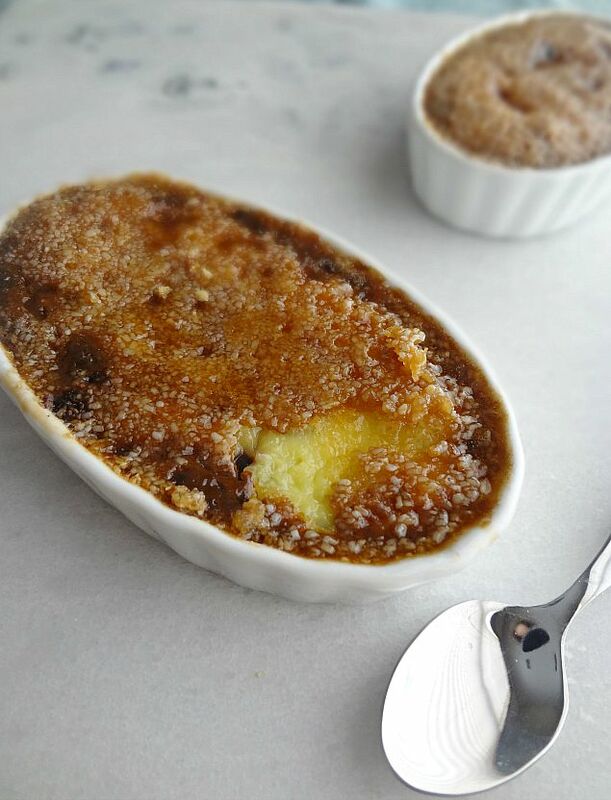 Usually I'm fairly lukewarm on creme brulee but not this one! No, this completely overwhelmed me and created an addiction that led me to be very sad that this recipe only makes 5. Because that is not nearly enough. You break through a gorgeous layer of crisp caramelized sugar, giving way to luscious vanilla custard, and then...then...there's rich and delicious chocolate chip cookie dough. It's pretty much the bestest thing ever. 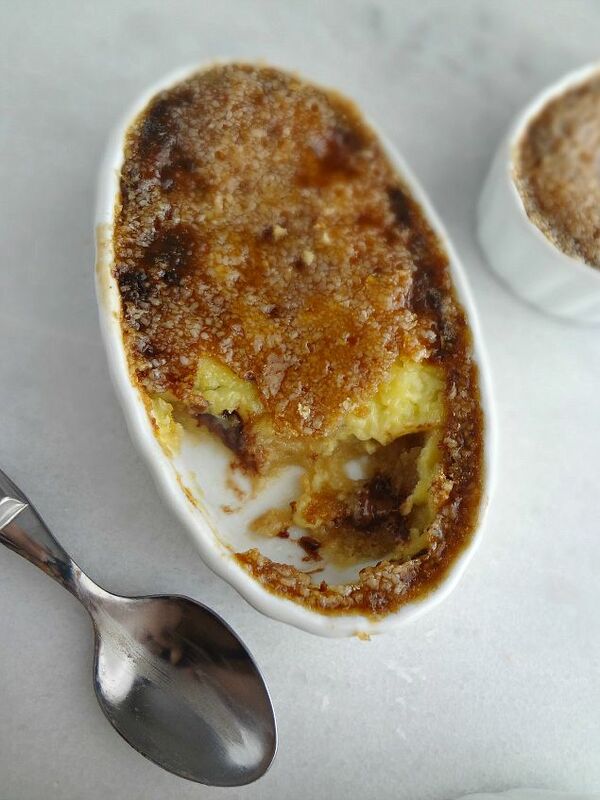 And now I strongly urge you to head on over to Blahnik Baker for the full Cookie Dough Crème Brûlée recipe!